Join us for this FREE seminar! As we age, factors such as vision change and slower reflexes can affect the ability to react to hazards swiftly. 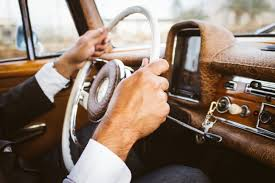 According to the CDC, an average of 586 older Americans are injured every day in vehicle crashes. The good news is there are corrective steps people can take to stay on the road. Conducted by the California Highway Patrol, you will receive a certificate for completing this FREE course which may entitle you to an insurance discount.